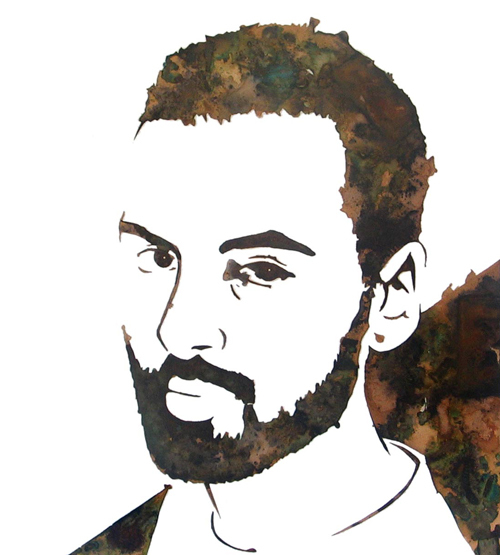 Just thought I’d show you where I draw and create nowadays. 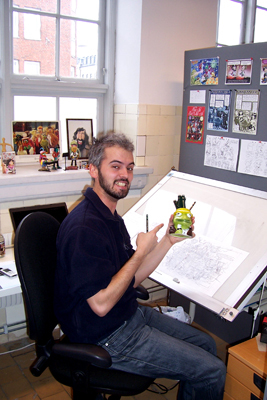 I moved into a comics studio at the end of December 2007, and I’ve been working here since 7 Jan. The studio houses 10 comic artists altogether. 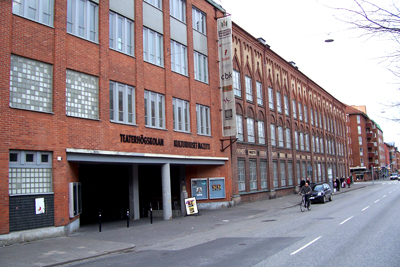 We’re situated in an old chocolate factory in Malmö called Mazetti-huset (“The Mazetti House”). Nowadays the buildning is devoted to culture, and in it you’ll find everything from film to music to comics and dance workshops, plus a restaurant and a club. 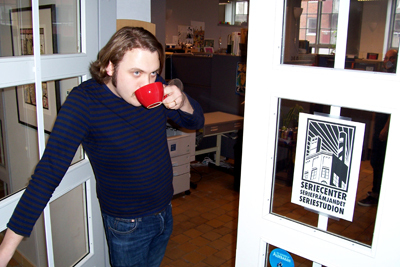 Jimmy Wallin, the Head of Seriestudion (“The Comics Studio”) welcomes you to our place. Jimmy and me compete daily in who can drink the most coffee. The studio is like any crowded office space, but perhaps there are more cartoons and crazy projects going on here than what’s average. It’s very cosy. You should come and visit us! This is my own little corner of the studio. I started to feel at home immediately. Thanks to my window space I had somewhere to place my muppet figurines. Happy happy joy joy! It feels much more like having “a real job” these days. 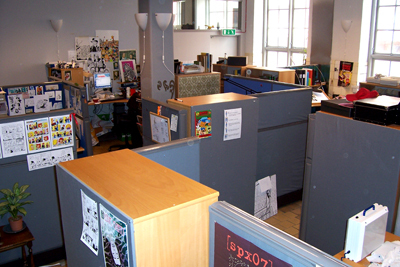 Being able to go TO work, and more importantly LEAVING work, is a welcome change in daily routines.